If you work in the non-profit world, you may think that marketing is only for businesses. Please understand that this is not true. Your organization may be a “non-profit”, but it still needs money. Without money, your non-profit will be forced to shut its doors. You and your coworkers won't have jobs. And you won't be able to carry out the mission you are so passionate about. So yes, your non-profit needs donations to survive, to carry out its work and for you to keep your job. Keeping a steady cash flow can be tough. Here's another challenge non-profits face: there are a lot of other charities competing with yours for donations. 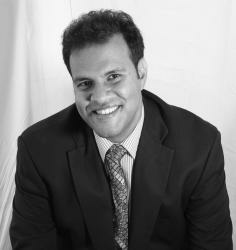 Many non-profits face economic difficulties. And every year, some close their doors. So in order to keep your non-profit “in business”, you must capture and keep the attention of potential donors and successfully persuade them to donate to your cause when they could easily give to another one or spend the money on something else. Let's talk about how non-profit groups can leverage the power of solid, proven online (and offline) marketing strategies to increase the number and size of donations they receive, including gifts from repeat donors. When marketing their services – online or offline – businesses can use proven tools to increase the likelihood of success. They can write reader-centered copy and content that persuade the reader to take action (that is, to buy), copy that answers the question every reader is asking before he buys – What's in it for me? They can and should make multiple “touches” with their prospects, because most will not buy on the first encounter. They can employ proven strategies to attract visitors to their website, and then persuade them to visit again and again. This is little or no different from the steps you would take to successfully market your non-profit. All of these things will help contribute to your marketing's effectiveness. Non-profits need to generate an emotional response in their potential donors' hearts (stories are an effective way to do this!). Like businesses, non-profits need to build trust in their site visitors' hearts and minds. There are many similarities in successful marketing for businesses and non-profits. But there are also some key differences. In a business transaction, customers typically exchange money for products or services they themselves (or a family member, their company's employees, etc.) will use. When giving to a non-profit, the donor usually gives to a person(s) he will never meet or a cause or situation he is probably not directly involved with or affected by. By giving, he may very well benefit, but it will most likely be in an intangible way that can't be directly measured. Remember that in buying situations, people ask themselves “What's in it for me?”. There's a very good chance your potential donor is subconsciously asking himself the same question. Persuading him to give can be challenging because of this. One of the strongest ways to persuade him is with copy, content and stories that generate a strong emotional response of benevolence – the feeling that by giving, he's kindly making a positive difference. Written content used alone can do this, but pictures and video combined with a powerful verbal message can do it even more effectively. In this blog, we've written extensively about how marketers need to avoid “shiny object” syndrome. That is, they need to not fall into the trap of thinking that one tool will solve all of their marketing problems. Just like a homebuilder needs an array of tools and a detailed set of accurate blueprints, a marketer needs a well-stocked “marketing toolbox” and a comprehensive strategy for using those tools. The online marketer needs for his website to be the “hub” of his marketing apparatus. This goes for the non-profit marketer as well. To experience the kind of donation support they want, non-profits need a dynamic, eye-catching, regularly updated website with video, ample content and a system built in that makes it very easy for donors to give. They need to attract a steady stream of visitors to their site. They need to keep them on the site for an extended length of time. They need to persuade them to return to the site on a regular basis. When your visitors are ready to donate, you need to give them an easy way to do that. You need to build TOMA – Top Of Mind Awareness – of your cause in their minds. The above-mentioned tools can help you do all of these. You can attract potential donors or those interested in your cause through SEO and SEM. You can also use social media to attract site visitors. How? By building a blog – a “content library” that is a collection of emotional stories and videos that show how the work you are doing is making a profound difference. You can then encourage visitors to share these stories through social media and make it easy for them to do so with built-in sharing buttons and sharing “calls to action”.You can also actively share your non-profit's videos and other content through a number of different social channels including Twitter, Facebook, Google+ and Instagram. Since your main social media goal is to drive traffic back to your website, make sure that your social media posts of your content and videos contain your main URL or a link to some portion of your site. Once visitors are on your site, keep them there by directing them to your blog and the other areas where you keep your compelling, original, emotion-generating content. Capture their email addresses – have your email capture form on your site's homepage - and regularly send them emails to build TOMA, and increase the marketing touches that are likely to get them to return to your site again and again and result in more donations. Offline marketing presents a golden opportunity for non-profits and many use it very successfully. The same rules apply here that apply in the for-profit marketing world. This article talks about steps you can take to be more successful with offline marketing, so we won't go into detail about it here. Suffice it to say that many of the direct mail techniques that work extremely well in for-profit marketing will also deliver desirable results for non-profits. 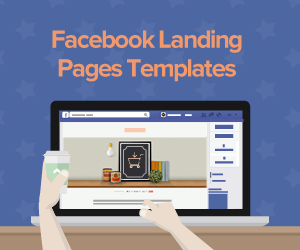 If you are a for-profit online marketer or a non-profit fundraiser asking for online donations, you need landing pages. In this blog, we've referred to the point where the visitor is on a landing page and is contemplating buying as the “moment of truth”. It's no different in non-profit marketing. Your landing page can be either an asset that helps you convert site visitors into donors, or it can be a liability that repeatedly causes you to lose out on vitally important donations. You need to have your landing page set up in a way that minimizes the distractions of the online environment (distractions can kill your conversion rate) as much as possible. For example, you don't want to have any of your website's navigation buttons on your landing page. To boost your conversion rate, give landing page visitors only two options, convert or close the landing page window entirely. Including your website's navigation buttons on your landing page is a distraction that makes it easier for potential donors to back out and change their minds about giving you that donation. Your landing pages need marketing messages that generate a strong emotional response in the reader and make him want to donate to your cause. You need photos that support your messages, instead of detracting from them. When you are trying to persuade your potential donor to give you money online, you want and need to make the process as simple as possible for him. You want him to convert, to make that donation, not to back away at the last moment. Why not use a landing page platform that helps you do these things? A landing page platform designed to help you win new donors? 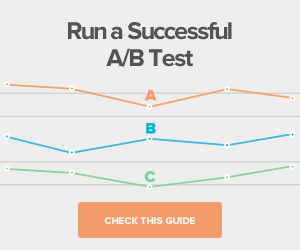 A landing page platform engineered to help increase your conversion rates? 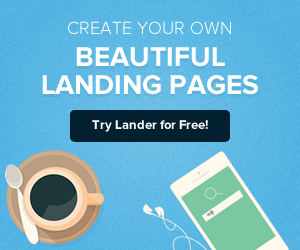 For all of your landing page needs, why not to try Lander? We offer you a line of E-Commerce-optimized landing page templates that can help you increase your conversion rate. In other words, the Lander landing page platform can help you receive more donations! These new landing page templates feature PayPal integration that helps make donating to your non-profit a breeze. Like a lot of non-profits, yours may be operating with very little extra cash flow. Great news! 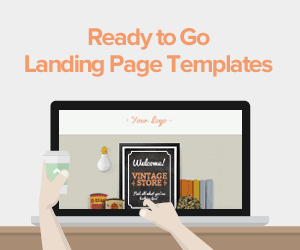 Lander offers you a number of affordable landing page options that can fit easily into a tight budget. And more great news: you can try them out for free! Any questions? Get in touch with us today, or write us a comment in the box below!